Almost… One more this weekend. 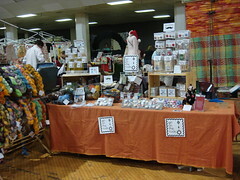 I was invited to peddle my wares at the first ever Knit One One Craft Fair. Knit One One is a local knitting studio offering classes and space for knitting and spinning meet ups. They are very close to my house (and next to a delicious bakery), but somehow I have never paid a visit. I went last weekend to check it out and it is beautiful and cozy. I am so excited to hang out there for the afternoon. I don’t have much space so I’ll be heavy on the knitting buttons and stitch markers and light on the fiber. Let me know if there is anything you would like me to bring so you can see it in person. 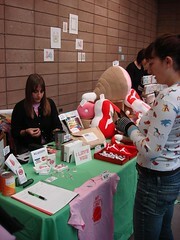 And so was the SF Bazaar Bizarre (I snuck that one in there and forgot to post about it. You really should sign up for my mailing list if you want reminders). I shared a booth with Abmatic and was next to Sweet Meats. I window shopped for meat all day and brought home some prime cuts. I also had some enthusiastic moustache customers. 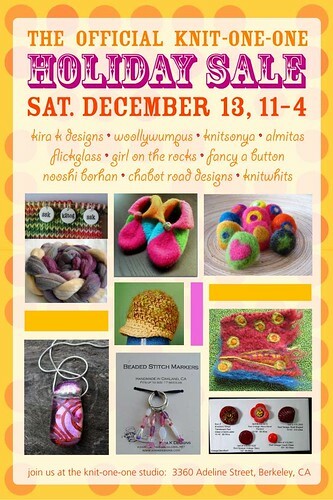 You want to know a secret… I am not sick of craft fairs yet! I love writing receipts and processing credit cards… I have a new found love for my credit card ka-chinker thanks to a bit of handy work from a crafty friend. I can’t wait for the summer fairs to roll around! 2 Responses to "Is the Holiday Craft fair season over yet?" I am still enjoying the Christmas fairs, but I can\’t wait for the summer fairs to start, too!!! By the way, you won my giveaway! 😉 Just send me your mailing address, and I can send you your prize. I am sooooooooooo loving my Bright Fig Superwash BFL. Lovely!! 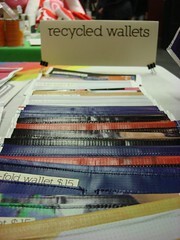 Thanks for showing me your goodies and getting me hooked on Weave-Its! I just got 2 from Ebay!